PREPARATIONS are in full swing to host the World Juniors Endurance Horseride Championship on December 8 at the Endurance Village premises in Sakhir. The event will be organised by the Bahrain Royal Equestrian and Endurance Federation (Breef). Breef member Shaikh Daij bin Salman bin Mubarak Al Khalifa said maintenance and upgradation work got underway immediately after the end of last season. Shaikh Daij said there will be additional stables included at the village to house over 120 horses in addition to a veterinary clinic, a registration office and towers especially designed to hold the television cameras. Other facilities include a modern cafeteria and seats for spectators and a media centre. Shaikh Daij thanked Breef president Shaikh Nasser bin Hamad Al Khalifa for his support and encouragement. Shaikh Nasser paid a visit to the village and inspected the facilities available. Meanwhile, the championship's organising committee chairman and the General Organisation for Youth and Sports president Shaikh Fawaz bin Mohammed Al Khalifa yesterday chaired a committee meeting and reviewed latest preparations being made to organise this event. Two of Northern Ireland's leading young international endurance riders, Helen (15) and Suzanne (19) Perry, from Dromore, have defected from the Irish team to ride for Great Britain. The sisters, the daughters of Ken and Sharon Perry have been successful members of the Irish endurance squad but have now received their licences and in future will be competing for Great Britain. Suzanne said that although it would be more difficult to qualify for events because of the higher class of rider, she hoped the change would mean they had more support and better competition opportunities. The girls are aiming to represent Britain at the International Championships later this year at Bahrain. Both are consistent on the world circuit with Suzanne competing regularly in the Middle East and having sold two of her Arab horses to the defence minister Sheik Mohammed Al Maktoum of Dubai. The Perry family run an extensive Arab breeding programme at Dromore where their international endurance horses are kept fit in a daily routine by Suzanne and her mother Sharon who are full-time in the sport. Helen has had particular success in the last few weeks having had two major wins in England. Last weekend Helen, in 28 degrees heat won the three-star 122km endurance race in Cirencester with her stallion Metallica. This was a hectic finish where Helen galloped to the last. Recently Helen also won the international young riders 120km at Dukeries, Sherwood Forest in Nottingham with Wesam. 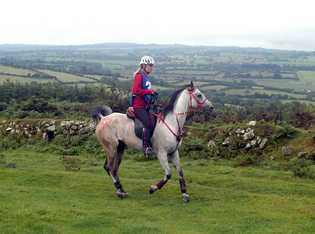 Suzanne was also successful and won the 160km race with her Arab Irish draught cross pony Merry Dancer. The sisters also won the award for best condition of their animals. Mrs Perry, said: "The girls are delighted to have both received their licences and are now aiming towards European and world championship selection. Their successes in England have been well noted by selectors and they are looking forward to serious competition." Suzanne said: "We have been thinking about changing to Great Britain for some time and are both delighted to have received our FEI licences to compete." Veritas and IBM have firmed up their ties with a new reselling agreement that will see Big Blue ship some of Veritas' better known software products with its servers. In particular, IBM will resell the Veritas Cluster Server product and the Storage Foundation product - which includes Veritas' file system and volume manager. These software packages will be promoted alongside IBM's Xeon-based servers and its fleet of Xeon- and Opteron-based blades. IBM hopes to target customers running Red Hat or SuSE Linux and Microsoft's Windows operating systems with the reselling deal. "We believe the Veritas products will add value to what already is one of the most robust, reliable and available x86 server lines on the market, and also help make it easier for our mutual customers in their server consolidation efforts to Linux and Windows on xSeries and BladeCenter servers," said Jim Northington, a VP at IBM. Le déplacement vers Aix la Chapelle était court pour les belges, mais leurs dents étaient longues même si la Belgique se présentait avec une équipe de chevaux peu habitués à un événement de tel type. Le temps où les belges s'engageaient sur une course comme des oiseaux pour le chat est révolu. Les résultats engrangés par nos cavaliers à l'étranger et sur les championnats y ont contribué. La politique de l'équipe nationale belge et ses résultats ont aussi été un élément moteur. The journey to Aachen was short for the belgians, but their teeths were a lot longer that the short trip they had to do for reaching Aachen. The time when belgians entered a race with reduced ambitions is over. Results achieved abroad by individuals and on championships played a big role. Belgian rider Leonard Liesens has won the international Endurance WEG test event in Aachen. The competition also served as the German National Endurance Championship which was won by Melanie Arnold, who finished as best German combination in third place. Sweden won the team competition. It was a day full of surprises. The fact, that in the evening the corks popped in the camp of the new German Champion Melanie Arnold could have been forseen (see "Three questions for Melanie Arnold") whereas the victory of the Belgian outsider, Liesens with Arazzi, ahead of French rider Raphael Muller was completely unexpected. Liesens reached the finish at the show grounds in the Aachener Soers 13 hours and 39 minutes after the 5 am start. was 10 hours 15 minutes. >8th Holly sisters from Tenn.
> Ridecamp is a service of Endurance Net, http://www.endurance.net. > Ride Long and Ride Safe!! Following the cancellation of the event by the British Organising Committee, the Italian, Dutch and French Federations contacted the FEI with offers of assistance to organise the FEI European Open championship in an alternative venue. The FEI accepted the French Federation?s offer to run the championship in Compiègne, near Paris. Compiègne had effectively organised the 2000 World Endurance Championship and the Organising Committee has a great experience in the staging of equestrian events. The Championship will take place between the 25 and 28 August 2005 and be part of the Horse Festival of Compiègne. The exact schedule and further details will be communicated next week. The FEI wishes to thank all Federations concerned and looks forward to a successful championship in Compiègne. 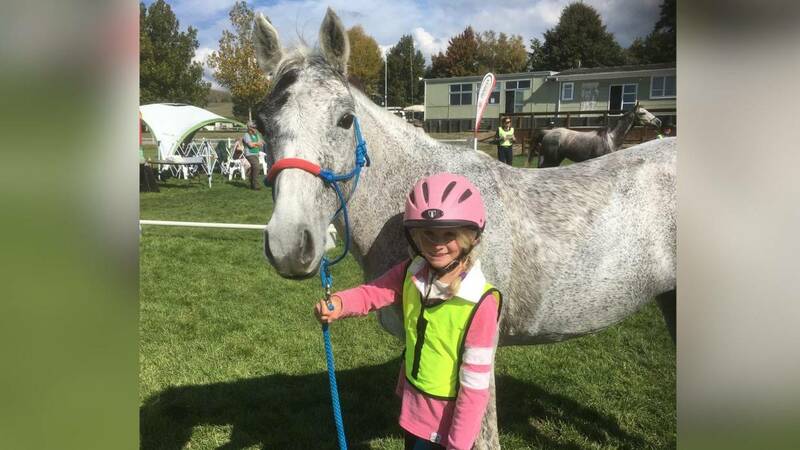 For the first time in it's forty year history, the Cradle Mountain Chateau 40th Tom Quilty Cup Endurance ride has been cancelled mid event. The ride started at midnight in steady rain, and as dawn broke conditions deteriorated. In driving rain, and cold winds, the horses began to find the going difficult, and there were several falls, fortunately with no injuries. The advance motorcycle trail bike crew were unable to access parts of the fourth leg , and the four wheel drive vehicles were unable to establish checkpoints, or to access the track for safety and rescue work . Faced with a deteriorating situation on the local weather radar, and many withdrawals at the end of the third leg , the organisers made the courageous decision to end the ride. Horses already out on leg 4 were recalled as they approached the checkpoints. All horses who had completed the third leg (110k) were deemed to have completed ,as long as they passed the compulsory two hour represent to the vet panel. The leading horses in each division, at the end of leg three, will be declared as winners. Toft endurance has provisionally swept the prize pool, although no official results have yet been announced. THE Tom Quilty Gold Cup event has proven beyond a doubt that Australian horses are as tough as any in the world, according to event patron Ron Males. Mr Males has been involved in the cup, which is now the national endurance riding championship, since its inception 40 years ago. He worked with R. M. Williams and Tom Quilty in setting up the inaugural ride in 1966. R. M. Williams wanted a race to see if Australian riders and their horses were as tough as American competitors in the 100-mile Tevis Cup. Tom Quilty put up 1000 in prize money and Mr Males organised and marked out the course. Mr Males has since competed in 21 events and holds the record for the most consecutive Tom Quilty silver belt buckles. They are awarded on completion of the event within 24 hours. "It's hard to think of a highlight," Mr Males said. "But that first race, it was out of this world. "Racing in Australia over 160 kilometres, which is 100 miles, was just unreal. "But we did it, we succeeded." Sheffield is the site of this year's Tom Quilty, which begins at midnight tomorrow. It is also the site of another of Mr Males' personal highlights. "Eighteen years ago at Sheffield I came in second on Chase Sadaqa and we won best condition, which is as prized as winning," he said. "I've only just arrived, but from what I've seen this year's course looks great." VETERAN: Tom Quilty Gold Cup patron Ron Males relaxes after arriving in Sheffield yesterday. Mr Males was involved in the establishment of the event 40 years ago and has 21 Quilty silver buckles. Picture: Karleen Williams. TWENTY-eight riders will represent Bahrain in the World Juniors Endurance Horseride Championship to be held in Bahrain on December 8 at the Endurance Village premises in Sakhir, said Bahrain Royal Equestrian and Endurance Federation's national teams manager Shaikh Daij bin Salman bin Mubarak Al Khalifa. Shaikh Daij said International Equestrian Federation rules state that a rider must complete three 120-km races 24 months before the event to book a berth. Twelve of the 28 riders will take part in the team race while the rest will be participating in the individual event. The 12 riders are still to be announced. Breef president and Bahrain Royal Team captain Shaikh Nasser bin Hamad Al Khalifa will lead the Bahraini team which also includes Breef first vice-president and Al Khaldiya Stables captain Shaikh Khalid bin Hamad Al Khalifa and riders representing seven stables - Al Asayel, Al Fateh, Al Salam, Al Mugheerat, Saar, Al Shorooq and Al Nosoor. Team: Shaikh Nasser bin Hamad Al Khalifa, Mohammed Abdulsamad, Manal Fakhrawi, Salem Al Otaibi, Tawfeeq Jaber, Ebrahim Abdali, Omar Al Omar, Raed Mahmood (Royal Endurance Team), Shaikh Khalid bin Hamad Al Khalifa, Saad Al Yami (Al Khaldiya Stables), Abdulaziz Adam, Naseeb Mahboob, Fahad Sulaiman, Saeed Abdulla, Mohammed Al Thawadi, (Al Asayel), Shaikha Najla bint Salman bin Saqer Al Khalifa, Shaikh Rashid bin Jaber Al Khalifa, Shaikh Saqer bin Khalid Al Khalifa, Mohammed Al Muawda, Shaikha Noora bint Salman Al Khalifa (Al Fateh), Ahmed Abdulaziz, Maytham Ahmed, Hamad Fakhrawi (Al Salam), Ali Mansoor, Jaffer Mirza (Al Mugheerat), Khalid Janahi (Saar), Ali Salman (Al Shorooq), Adnan Al Alawi (Al Nosoor). Deviot's Jess Wilson will mount her Crabbet Arabian Kurrajong Zephyr just before midnight on Friday ready to ride into the freezing hills of Sheffield. The 12-year-old mare, which Wilson has owned for less than a year, will be wearing a light all-purpose saddle, a simple bit or maybe even just a headstall, and her lightweight rider will be in thermal underwear "and at least five jumpers and a coat". Both will be a little jumpy, breathing steamy nervous breath in the cold, night air. And then, almost silently, they will trot away into the night, with just a head-torch to guide their way, on the first leg of the 160km journey that is the famous Tom Quilty Gold Cup Endurance Ride.